seats 3 kids as is; there's room for 2 more with aftermarket kid seats, for a total of 6 people. and people actually use them this way in the netherlands. I wanted to congratulate you. Your blog is very interesting. Sorry, I'm french and I don't write english very well. But I can read it and anderstand...and your blog is well illustrated. They call these long john cargo bikes. 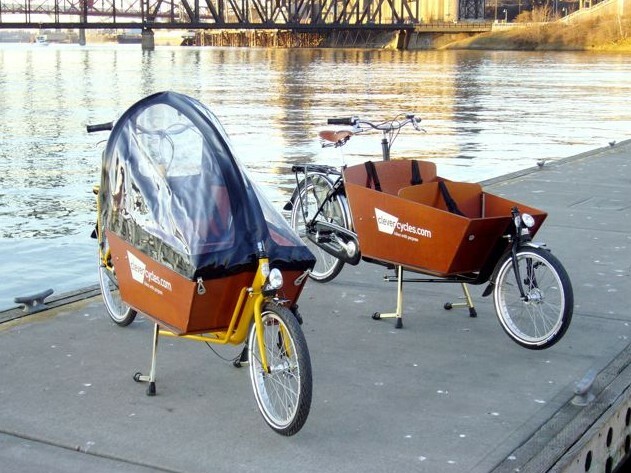 TCAT in Eugene, Oregon makes them as does bakfiets.nl and other companies - mostly European.